Everything in this world has its own bit of history. The sidewalk you walk on, the building you work in, the house you live in, even the air molecules you breathe have been around for years upon years. The same goes for the food we eat, every chomp we take out of a dish is a bite out of history. This is not only speaks to the history of the ingredients themselves, but the history of the recipe and customs that went into making the dish. While food from every culture has an incredible backstory, Mexican cuisine is one of the most historic cuisines the world has to offer, and this history is evident in every dish. The basics of Mexican cuisine can be traced back to 7000 BCE, when Mexico and Central America had yet to be colonized. Back then indigenous people roamed the area and survived by hunting animals and gathering plants. One of the most common plants in the area was the wild chile pepper, which they ate frequently. 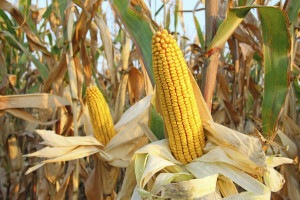 Corn first entered their diet 500 years later in 1200 BCE. It was domesticated through a system called Nixtamalization where the corn would be treated with lye to soften it for grinding. Nixtamalization lead to the use of tortillas and other types of corn based breads. The indigenous people had a very hard time collecting sufficient protein, as meat was scare around the area. To try to make up for this they ate a lot of beans, which would be served as a side of most meals with corn. As is the case with many countries in today’s world, Mexico was created through colonization, in this case from the Spanish. The Spanish introduced many of their own recipes and dishes into the indigenous culture, like rice, olive oil, garlic, coriander, cinnamon, and many other spices. They also brought many domesticated animals like pigs, sheep, cows, chickens, goats, and more for a reliable source of protein. The cows, goats, and sheep were used for dairy as well, with cheese becoming a main ingredient in many dishes. Today Mexican Cuisine is a nice blend of the indigenous and Spanish cuisine. It is still based in beans, corn, tortillas, and chile peppers, but these are now usually served with some sort of meat and cheese. Most dishes come with some sort of rice and spices as well, a clear nod to the European influence. Since the colonization many cuisines have influenced Mexican Food, including French. The French intervened in Mexico in the 19th century, and their food was enjoyed by the upper class even after they left. Obviously there is much more to Mexican food history, but this has been a brief overview. If you want to see all of these influences in action today, come to Mexicali. All of our food exudes the Mexican and Indigenous culture the cuisine was based on, with modern twists to take it to the next level.